The site hoardings have been moved as work progresses on the rear terrace. 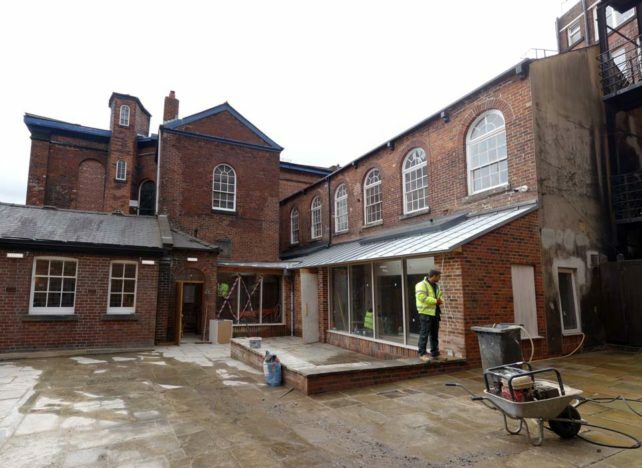 The single storey extension forms a new ‘cloister’ link to the Vestry, as well as enlarging the Hollis Room space for members of the congregation. Upper Chapel and Channing Hall will open to the public during the 2018 Heritage Open Day events – please follow the link for more details.